When the city gets too tough, we head for the suburbs: the land of green lawns, good schools and open spaces. But some Manhattanites say you can have it all. Across the city, quirky suburban-style homes are hidden on the vast roofs of buildings. 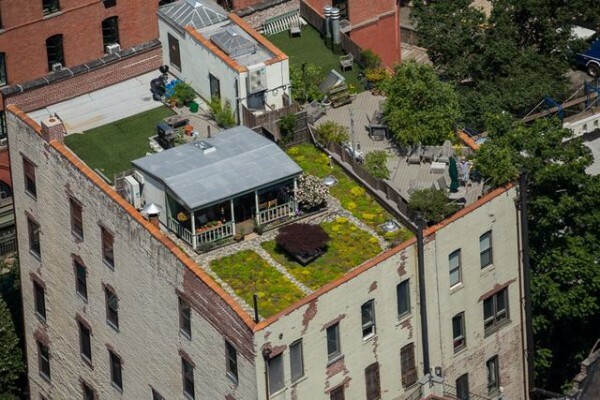 On West 85th Street Near Columbus Avenue, a whole community lives across the roofs of three buildings. They garden, barbecue and host movie nights in their own private “suburb” above NYC. Nearby on another roof on the Upper West Side, a man has built a small home that resembles a ski chalet.